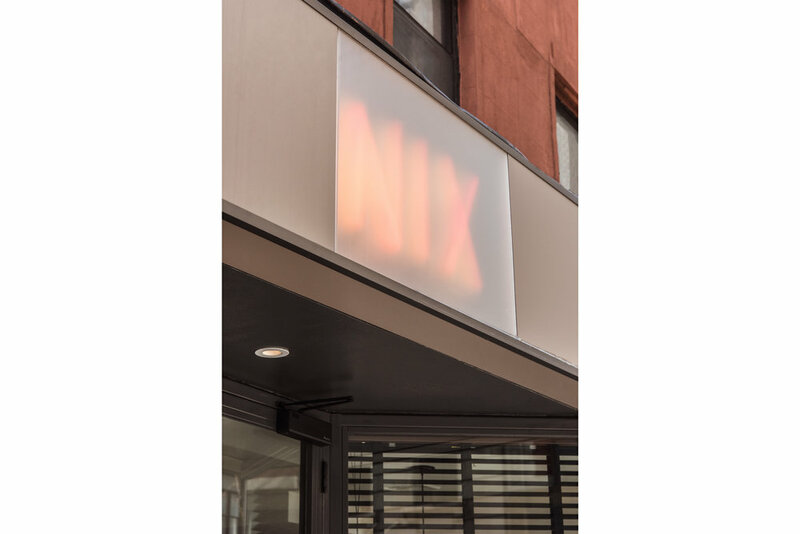 NIX is a 2,000 SF restaurant located in Manhattan's Greenwich Village strategically close to the Green Market in Union Square where ingredients are regularly sourced. The renovation was a complete gut and every detail of the space was considered and designed with great care to create a completely unique space for a unique restaurant type. Services included design and fabrication of a custom steel and glass storefront, several custom light fixtures including the juniper burl ledge lamps, the green ball lamps at the railroad booth tables and the bar lights that incorporate vintage, glass shades. 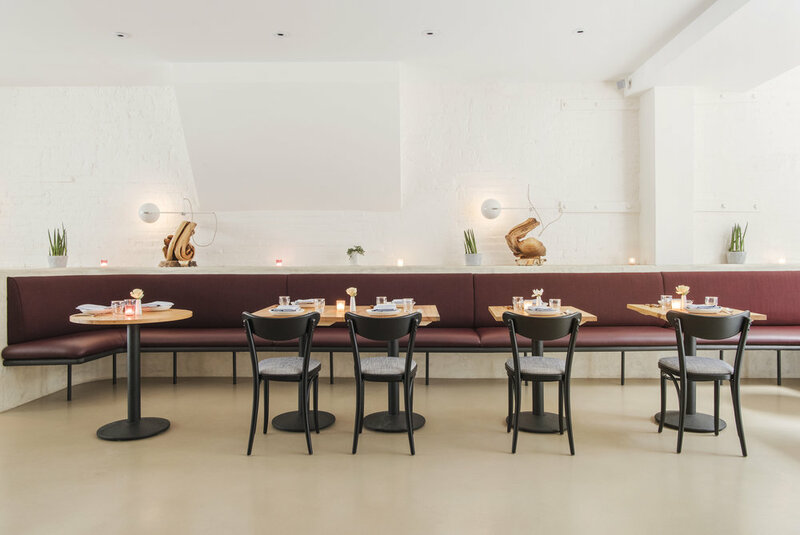 Custom banquettes, custom, reclaimed wood table tops, and custom steel and glass shelves are included in the long list of custom-designed elements in this restaurant. Additionally, walls and ledges were hand-troweled and entry tile mosaic pattern was hand-placed with tile selected and cracked by designers. 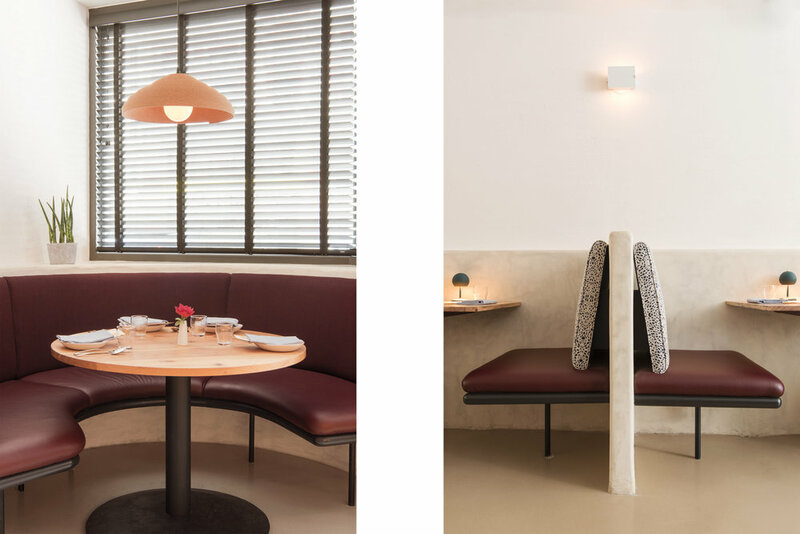 Design collaborators included Leanne Shapton who hand-painted the bathroom walls with turnip and tomato blocks and Leni Schwendinger who designed the neon lighting element of the custom, metal sign band. 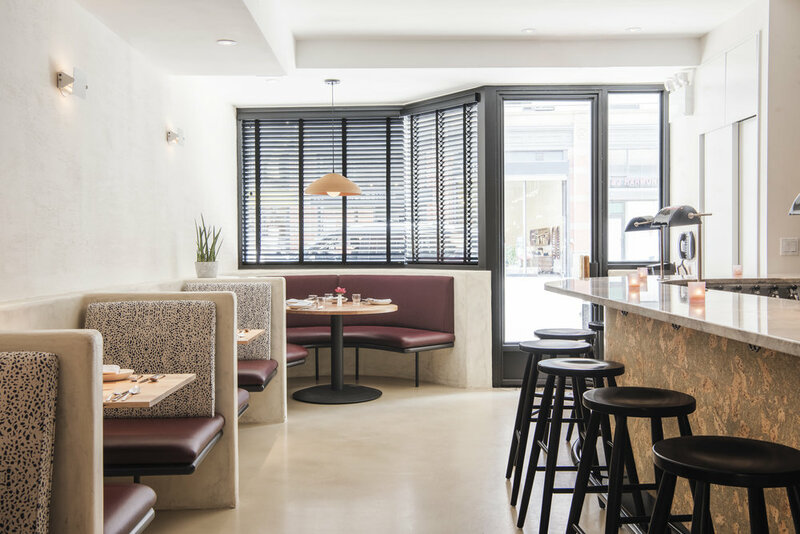 This project was a full-service architecture and interiors project merging the two disciplines seamlessly to meet the client's high expectations for a one-of-a-kind restaurant environment.